Why? Many of Jeju’s farm owners are faced with employing migrant workers as harvest season approaches. 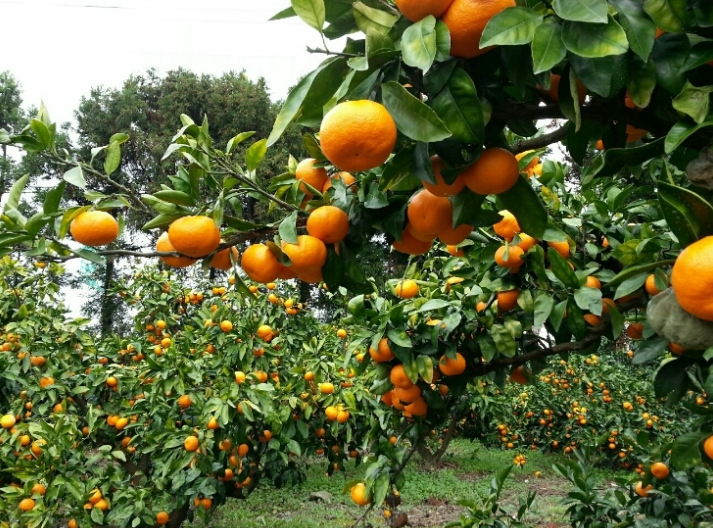 The period between October and January in Jeju requires more farm workers as it is time to harvest tangerines, carrots, cabbages, and radish. However, farmer’s worries in Jeju’s agricultural areas are growing bigger because of a labor shortage. Several factors have caused the shortage of seasonal laborers in Jeju’s rural farmland. Due to the rapidly aging population of Jeju’s rural areas, many farms have relied on immigrant workers, some of whom are undocumented aliens. But this situation has reversed as the number of designated migrant workers in Jeju who could stay and work at least for 2 years has decreased. The Korean government gave out fewer work permits as there has been an increasing number of cases reported about alien immigrants working in fishing boats that have left their jobs illegally without notice. In addition, this year, only 685 migrant workers have been designated in Jeju, which is a more than 30 percent drop from 1,000 for the previous years. The number takes up only three percent of the total of 22,850 nationwide. “I was able to employ three migrant workers for my farmland last year after going through one year of the employment process. But the workers said they were going to leave for the Gyeonggi area to work. I felt at a loss,” said one local farm owner of cabbages in Aewol, Jeju. The biggest reason behind the decrease in the number of migrant workers in agricultural areas lies in the fact that a number of illegal alien workers in Jeju have left the country voluntarily or have been removed by force. The Ministry of Justice allowed for the re-entry to Korea for undocumented foreign immigrants with a stay of fewer than 3 years if they chose to leave the country voluntarily by May this year. This law went into effect exclusively on Jeju island. Based on this law, 2,144 illegal migrants in Jeju left the country voluntarily. A further 699 have since become the target of deportation. One government official said that “many farm owners in Jeju are faced with difficulty in securing helping hands as the harvest season for seasonal vegetables approaches.” This problem worsens as the employment of immigrant workers takes at least one year and even after the employment, they leave their workforce illegally or leave for different areas. To tackle the labor shortage problem, Jeju government has come up with some ideas. One idea has been to allow foreign women from multicultural families to work as seasonal workers legally for 3 months. Until June this year, 121 women have applied for jobs on 63 farms. However, only 32 of those that applied are working on 17 farms. The reason for these low numbers is said to be because of the language barrier as well as the employer's requirement to pay a minimum of KRW 1,350,000 per month and offer accommodation.